I am always looking for new tasty and healthy dishes to make at home. I love to get creative in the kitchen and new salad dishes and low calories dishes full of a range of nutrients are always ones that appeal. I need my food to be full of flavour as well as healthy as I can’t bring myself to eat bland food, it doesn’t excite or attract my attention. Today’s recipe contains poached eggs, a great source of protein. Over half the protein from eggs is found in the white. Protein makes us feel full for longer and is important for healthy muscles. By keeping us fuller for longer it also means we consume less calories indicating this as a great food to be included in the diet of those trying to eat a healthy diet as well as trying to lose weight. It also means we are less likely to snack between meals. Eggs also contains vitamin A, B2, B6, B12, D, E, K and selenium. The white also contains minerals including zinc, copper and iron. Although there has been negative information in the press about eggs and the bad cholesterol they contain they don’t necessarily affect our LDL (low density lipoprotein) levels – bad cholesterol. Eggs do however raise HDL (High Density Lipoprotein) levels in the blood. People with high levels of HDL in their blood have a lower chance of developing heart disease. Eggs also contain lutein and zeaxanthin which are powerful antioxidants that can build up in the retina of the eye and reduce the risk of cataracts and macular degeneration. The vitamin A in eggs can also help prevent blindness which can result where this vitamin is deficient. 1 tablespoon white vinegar for poaching the eggs. Wash the red pepper then halve and deseed. Chop this into bite sized pieces. Throw the pieces of pepper onto a baking try lined with foil and pour over the olive oil. Mix well. Place in the oven and cook at 200 degrees for 15 minutes. Set aside to cool as you prepare the rest of the dish. Measure out the lentils into a dish. Chop the avocado and sprinkle this and the red peppers over the lentils. In a pan heat up some water and once it is boiling add in the vinegar. Place one egg into a small container. Stir the water and add the raw egg to the centre. Allow to cook for a few minutes then remove and place on some kitchen towel to drain off excess water. Repeat with the second egg. Once the eggs have been cooked and drain place them on top of the salmon. Squeeze the lemon over the dish and then add a good sprinkling of the peri peri spice. This looks so yummy! 🙂 It’s a great protein meal which I am trying to do- more protein! I’m doing the same so though it would come in useful for others if I shared my recipes. Oh yum what a delicious and healthy meal and who knew how many vitamins that eggs contain? They really are a wonderfood! They are very good for you. It’s a shame some people don’t realise how good they are. If it’s the yolk that you don’t like just get rid of that before cooking the eggs. No problem. It makes a tasty and healthy meal, I hope she enjoys it. Smoked salmon is great and saves you calories as anything in bread crumbs adds so many more. I’m a pescatarian and am obsessed with salmon. I agree there is so much bad press on eggs but they’re actually really good for you. I discovered poached eggs a few years ago and have been obsessed since. This sounds like the perfect combination for me. Poached eggs are great aren’t they and can be used any meal of the day which is great. Enjoy! It is super tasty and thankfully healthy too. It all looks marvelous here. I know I’m really picky about my salmon but this looks absolutely delicious. I will have to try this out in the near future. It is super yummy and very popular. That looks so yummy! I love all fish so i am sure i am going to love this. he smoked salmon does make a great addition to the dish. Oh, lentil with smoked salmon! It looks amazing! I bet it’s so tasty!! would definitely try it for the weekend! Thanks for the inspiration!! I really love poached eggs especially when the yolk is runny, yum!!! Perfect dish to serve for brunch . Protein packed and delicious. They sure are perfect for brunch. I have this a few times a week. Lentils are currently having their moment right now! This is a great dish for lunch and dinner as lentils are packed with loads of fibre and energy. They sure are very popular and versatile too. I feel like I should eat more lentils but I have NO IDEA how. I don’t know how to cook them. I don’t know what to eat them with. It’s just something we never really had as kids at home. Is it really stupid to ask how I’m meant to cook them!? Hmmm-hmm salmon and poached eggs! This looks so yummy and so healthy. 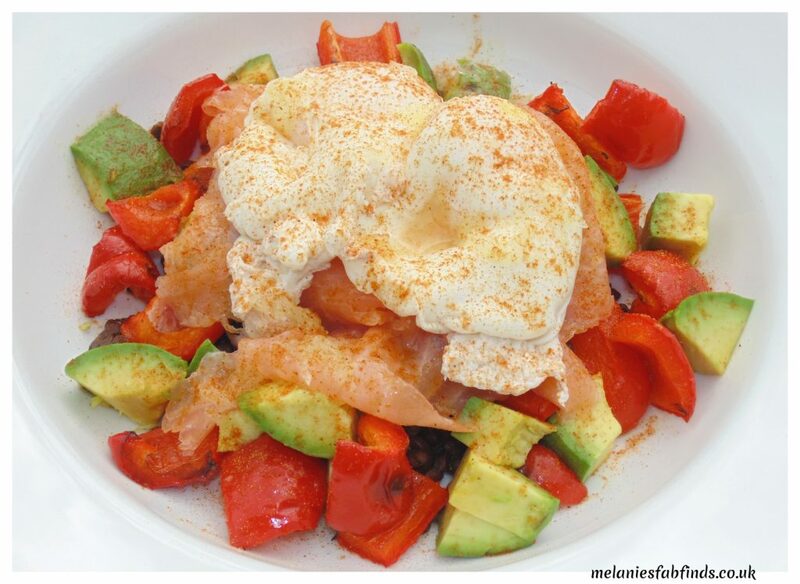 I need salmon in my diet now, so you’re heaven sent for sharing this recipe! Aaahhh glad to have helped. I hope you love this as much as I do. That looks so good and yummy..perfect meal for any mealtime! It really is a tasty and healthy meal. I would not have thought of lentils with salmon and poached egg. That sounds incredibly delicious and think I am going to try it one of these days! It’s nice and tasty and you can use it for any meal of the day. What a healthy and delicious breakfast choice. I must say I’m partial to scrambled or boiled eggs. They are easy to make and work well combined with so many things.